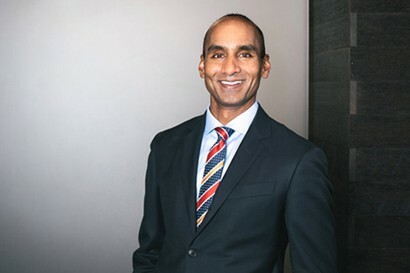 The first surgeon to perform Balloon Sinuplasty in Wisconsin, Madan Kandula, MD, leads his specialty as a pioneer and visionary otolaryngologist. Dr. Kandula offers the most experience with traditional sinus surgery and Balloon Sinuplasty in the state, and his record has established him as Wisconsin’s preeminent ENT specialist for both in-office and surgical procedures. Whether innovating new treatments or redefining independent medical practice for the 21st century, Dr. Kandula follows a philosophy of doing better today what was done yesterday to provide you the best care available for sinus and snoring concerns. Dual board-certified in otolaryngology and cosmetic surgery, Ethan Handler, MD, received his MD from the Medical College of Wisconsin before returning to his native state of California, to complete his residency in Head and Neck Surgery with Kaiser Permanente in Oakland, California. During his residency, Dr. Handler embarked on numerous surgical medical missions operating in a variety of third world countries, providing care for those in desperate need. Dr. Handler is passionate about ADVENT’s mission to provide unparalleled care and believes open and natural physician-patient communication is the cornerstone to your treatment success.